The Shortcodes are explained one by one in this section. 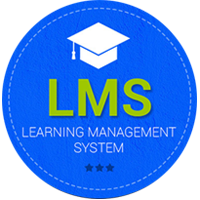 This LMS Addon comes with several different types of shortcodes that helps in customizing your content easier. We have explained each and every shortcodes of our LMS Addon briefly in this documentation. All of our LMS Addon Shortcodes can be generated by 2 methods. 1. Visual Composer Modules - You can add the Visual Composer LMS Addon modules by the standard method. Just install and activate the Visual Composer and Designthemes LMS Addon plugin. Now the Visual Composer modules will be available for Pages and Posts. Now by clicking the "Backend Editor" mode, the "WPBakery Page Builder" will be enabled. Now click the "Add Element" button to view the available modules in Visual Composer. In that window, you can see many tabs like All, Content, Social, Structure, etc... In that tabs our LMS Addon tabs are "DT LMS Addon" and "DT LMS Addon - Dashboard". The modules in these 2 tabs comes from "Designthemes LMS Addon" plugin. You can add the required modules as per your needs and start building your website. 2. Add Shortcode - This option is available by default to all the pages and posts, if the "Designthemes LMS Addon" plugin is enabled. 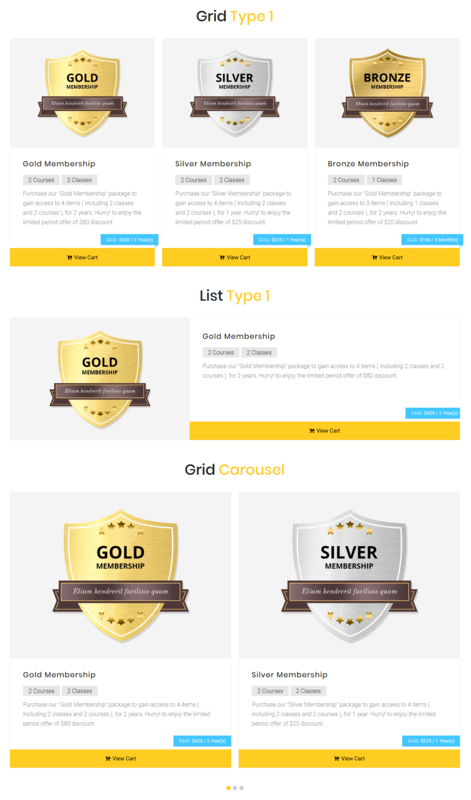 The same visual composer modules are available in the basic shortcodes format. The output will be same either Shortcodes or Visual Composer modules are used. 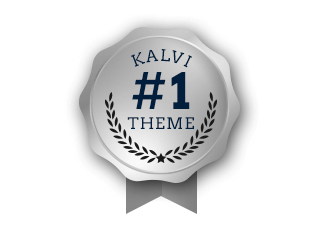 LMS Kalvi offers you huge flexibility in terms of design and layout. Listings offers you flexibility in creating custom post types, taxonomies and advanced search facilities. 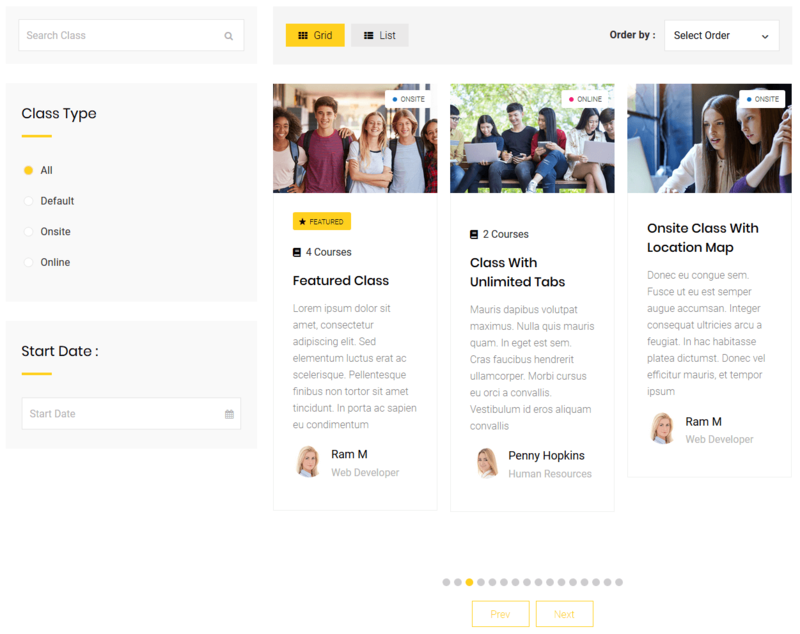 The theme activates a module called the LMS Builder where you can create custom post types, taxonomies and custom fields. disable-all-filters - The available options are true or false. There are 7 types of filters available for this shortcode. You can enable/disable all the 7 types from this paramater. enable-search-filter - The available options are true or false. This option is to enable the Search Class text field. enable-display-filter - The available options are true or false. This option is to enable the Grid/List display filter. enable-classtype-filter - The available options are true or false. This option is to enable the Class Type filter. enable-orderby-filter - The available options are true or false. This option is to enable the Order By filter. enable-instructor-filter - The available options are true or false. This option is to enable the Instructor filter. enable-cost-filter - The available options are true or false. This option is to enable the Cost filter. enable-date-filter - The available options are true or false. This option is to enable the Start Date filter. listing-output-page - The available options are the list of pages that you can choose from. You need to select a specific page from the dropdown list for which you like to show the class listing output. If "Default - Ajax Output" option is chosen, then the output will be displayed in the same page. If you have selected any other page, the class search result will be outputed in that page. For that you have to add this classes listing shortcode again in that page. default-filter - The available options are upcoming-classes or recent-classes or highest-rated-classes or most-membered-classes or paid-classes or free-classes. This Default Filter is only available, when Disable All Filter Options is set to True. default-display-type - The available options are list or grid. Choose display type for your classes listing. This option is not applicable, if "Default - Ajax Output" is not chosen in "Listing Output Page". class-item-ids - Enter class item ids separated by commas to display from. This option is not applicable, if "Default - Ajax Output" is not chosen in "Listing Output Page". instructor-ids - Enter Instructor ids separated by commas to display from. This option is not applicable, if "Default - Ajax Output" is not chosen in "Listing Output Page". apply-isotope - The available options are true or false. If you like to apply isotope for your classes listing, choose "True". This option is not applicable, if "Default - Ajax Output" is not chosen in "Listing Output Page". "Apply Isotope" won't work along with "Carousel". post-per-page - Enter the Number of posts to show. This option is not applicable, if "Default - Ajax Output" is not chosen in "Listing Output Page". columns - The available options are 1 or 2 or 3. Number of columns you like to display your classes. III Columns option will work only if "Enable Fullwidth" is set to "True". Also III Columns option is applicable for "Grid View" only when all filters are disabled. This option is not applicable, if "Default - Ajax Output" is not chosen in "Listing Output Page" and also if "List" is chosen in "Default Display Type" . enable-fullwidth - The available options are true or false. If you wish, you can enable fullwidth for your class listings. This option is not applicable, if "Default - Ajax Output" is not chosen in "Listing Output Page". type - The available options are type1 or type2 or type3. Choose any of the available design types. class - If you wish, you can add additional class name here. enable-carousel - The available options are true or false. If you wish, you can enable carousel for class listings. "Carousel" won't work along with "Apply Isotope". carousel-autoplay - Delay between transitions ( in ms, ex. 1000 ). Leave empty, if you don't want to auto play. carousel-slidesperview - Number of slides to show in view port. If display type is "List", 2 & 3 option in "Slides Per View" won't work. carousel-loopmode - The available options are true or false. If you wish, you can enable continuous loop mode for your carousel. carousel-mousewheelcontrol - The available options are true or false. If you wish, you can enable mouse wheel control for your carousel. carousel-bulletpagination - The available options are true or false. You can enable bullet pagination from this option. carousel-arrowpagination - The available options are true or false. You can enable arrow pagination from this option. carousel-spacebetween - Just set the space between sliders in pixels. Ex: 15px. enable-search-filter - The available options are true or false. This option is to enable the Search Course text field. enable-category-filter - The available options are true or false. This option is to enable the Category filter. listing-output-page - The available options are the list of pages that you can choose from. You need to select a specific page from the dropdown list for which you like to show the course listing output. If "Default - Ajax Output" option is chosen, then the output will be displayed in the same page. If you have selected any other page, the course search result will be outputed in that page. For that you have to add this courses listing shortcode again in that page. default-filter - The available options are upcoming-courses or recent-courses or highest-rated-courses or most-membered-courses or paid-courses or free-courses. This Default Filter is only available, when Disable All Filter Options is set to True. default-display-type - The available options are list or grid. 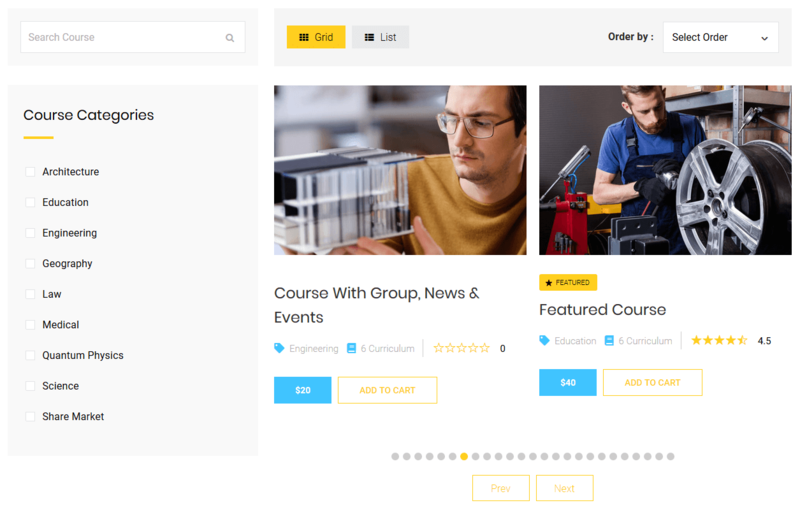 Choose display type for your courses listing. This option is not applicable, if "Default - Ajax Output" is not chosen in "Listing Output Page". course-item-ids - Enter course item ids separated by commas to display from. This option is not applicable, if "Default - Ajax Output" is not chosen in "Listing Output Page". course-category-ids - Enter course category item ids separated by commas to display from. This option is not applicable, if "Default - Ajax Output" is not chosen in "Listing Output Page". apply-isotope - The available options are true or false. If you like to apply isotope for your courses listing, choose "True". This option is not applicable, if "Default - Ajax Output" is not chosen in "Listing Output Page". "Apply Isotope" won't work along with "Carousel". enable-category-isotope-filter - The available options are true or false. You can enable category isotope filter for your course listing. This option is not applicable, if "Default - Ajax Output" is not chosen in "Listing Output Page". show-author-details - The available options are true or false. If you like to show author details along with course. This option is not applicable, if "Default - Ajax Output" is not chosen in "Listing Output Page". columns - The available options are 1 or 2 or 3. Number of columns you like to display your courses. III Columns option will work only if "Enable Fullwidth" is set to "True". Also III Columns option is applicable for "Grid View" only when all filters are disabled. This option is not applicable, if "Default - Ajax Output" is not chosen in "Listing Output Page" and also if "List" is chosen in "Default Display Type". enable-fullwidth - The available options are true or false. If you wish, you can enable fullwidth for your course listings. This option is not applicable, if "Default - Ajax Output" is not chosen in "Listing Output Page". 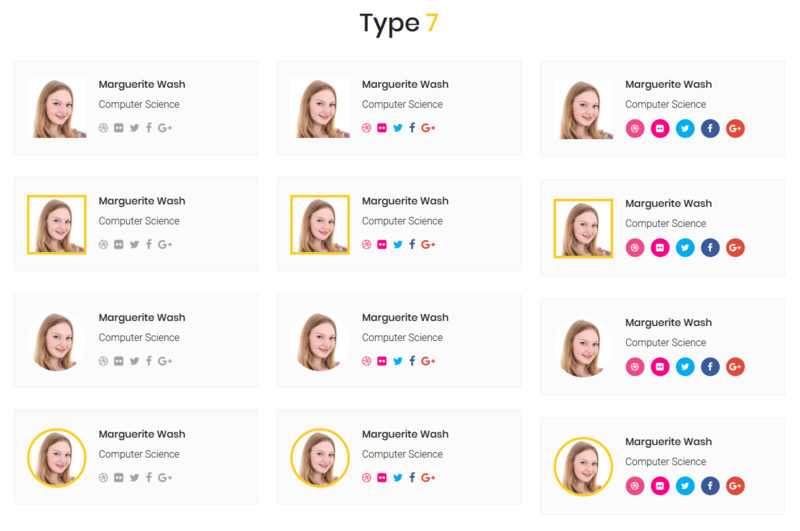 type - The available options are type1 or type2 or type3 or type4 or type5 or type6 or type7 or type8 or type9 or type10. Choose any of the available design types. enable-carousel - The available options are true or false. If you wish, you can enable carousel for course listings. "Carousel" won't work along with "Apply Isotope". default-display-type - The available options are list or grid. Choose display type for your packages listing. post-per-page - Enter the Number of posts to show. columns - The available options are 1 or 2 or 3. Number of columns you like to display your packages. apply-isotope - The available options are true or false. If you like to apply isotope for your packages listing, choose "True". package-item-ids - Enter package item ids separated by commas to display from. enable-carousel - The available options are true or false. If you wish, you can enable carousel for package listings. "Carousel" won't work along with "Apply Isotope". carousel-loopmode - The available options are true or false. If you wish, you can enable continous loop mode for your carousel. 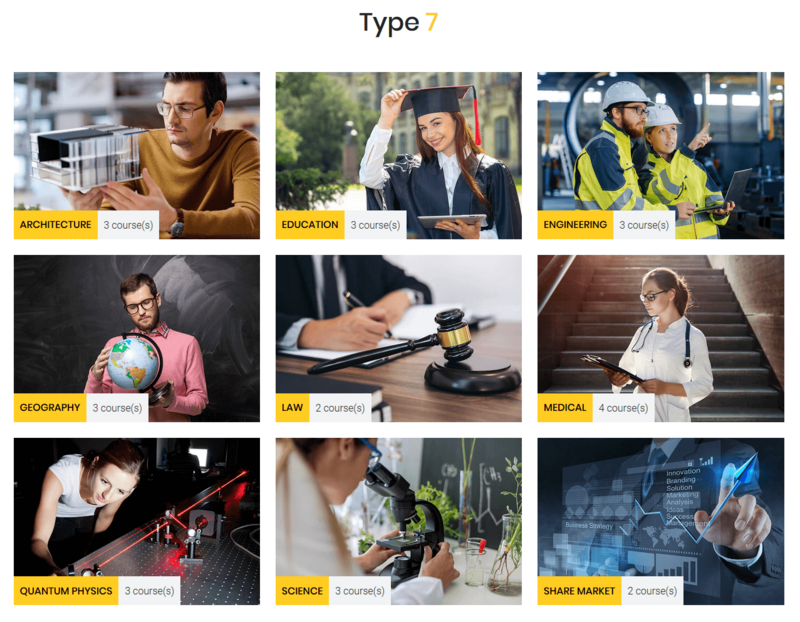 type - The available options are type1 or type2 or type3 or type4 or type5 or type6 or type7 or type8 or type9 or type10. Choose type of course category to display. columns - The available options are 1 or 2 or 3. 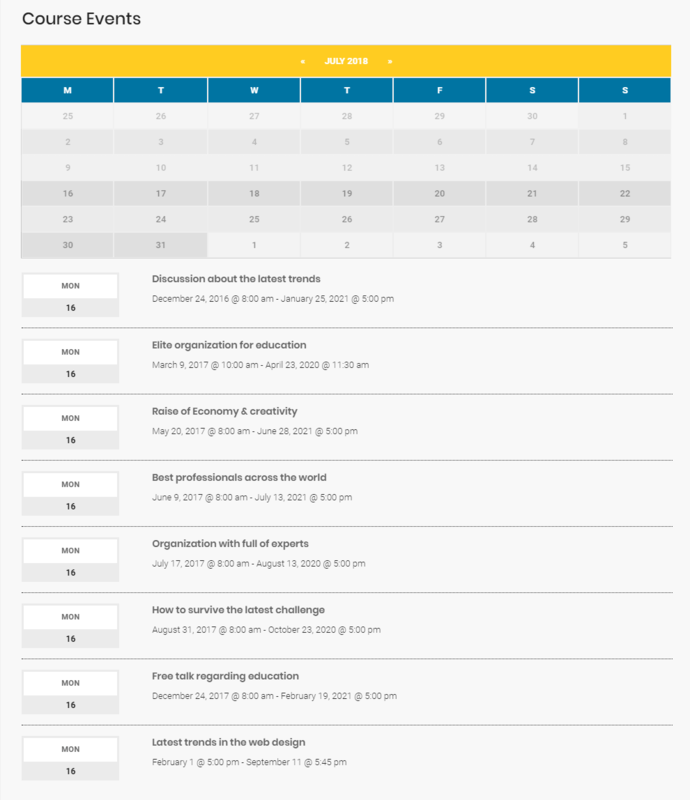 Number of columns you like to display your course category items. include - Enter course category item ids separated by commas to display from. use-icon-image - The available options are true or false. While creating the course categories you have added Icon image for it. This option is to enable or disable that icon image. image-types - The available options are default or with-border or rounded or rounded-with-border. The parameter name itself explains its functionality. social-icon-types - The available options are default or vibrant or with-bg. This attribute displays the social icons in 3 different ways like their names. columns - The available options are 1 or 2 or 3. Number of columns you like to display the Instructors. include - Enter the List of Instructor ids separated by commas. number - Enter the count of the instructors that needs to be displayed from this option. This shortcode just displays the Login / Register link along with a small icon in whatever page you like. If the user already logged in, then a logout link along with the username will be displayed. show_registration - The available options are true or false. This attribute enables or disable the "Register" link from the shortcode output. The main intent of the Instructor Role Extension for LMS Kalvi was to provide users with an additional user role for their LMS Kalvi Instructor management system. A role that would have more capabilities than the ‘Group Leader’ but fewer capabilities than the ‘Administrator’. This shortcode is used to display the total commission earnings of the instructor through classes, courses and packages done in the site in data and chart format. chart-title - You can give title for your chart here. enable-instructor-filter - The available options are true or false. If you wish, you can enable Instructor filter option. This option is applicable only for administrator. instructor-earnings - The available options are over-period or over-item. You can choose between content over period ( daily, monthly, yearly ) and content over item ( Course Commisions, Class Commissions, Other Amounts, Total Commissions ). content-filter - The available options are both or chart or data. Would you like to show Chart or Data or Both ? Select from this option. chart-type - The available options are bar or line or pie. Choose what type of chart to display. 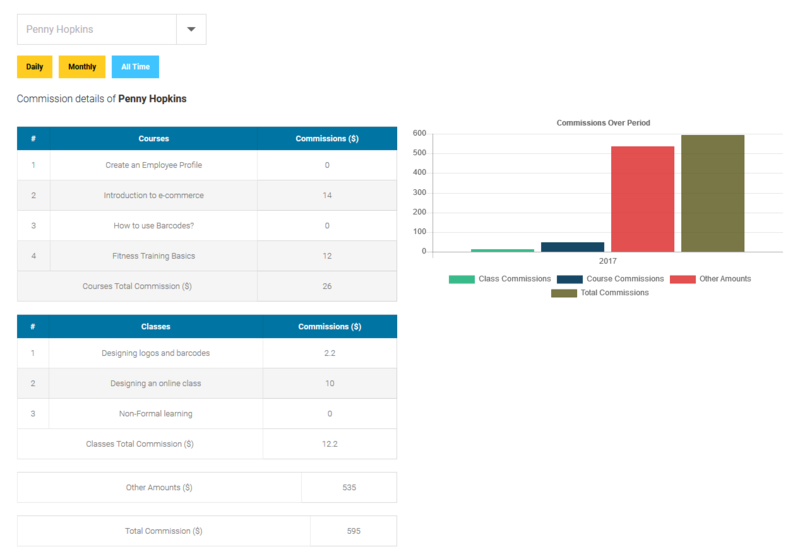 "Pie" chart will work only with "Over Item" - "Instructor Earnings"
timeline-filter - The available options are daily or monthly or alltime. Choose timeline filter to use for content over item. This option is only available when the instructor earnings is set to "Over Item"
include-course-commission - The available options are true or false. If you wish to include course commission amount in the chart. include-class-commission - The available options are true or false. If you wish to include class commission amount in the chart. include-other-commission - The available options are true or false. If you wish to include other commission amount in the chart. include-total-commission - The available options are true or false. If you wish to include total commission amount in the chart. This shortcode is used to display the total courses created by all the instructors or from a particular instructor along with the details such as Students - Direct Purchase, Students - Assigned, Students - Package Purchase, Students - Class Purchase, Under Progress, Under Evaluation, Completed, Badges, Certificates of the particular course. This shortcode is used to display the total number of Courses, Classes, Packages, Students, Evaluated, Under Evaluation, Badges, Certificates of each instructor separately. This shortcode does not have any parameters along with it. Just the shortcode will do the work. This shortcode is used to display the instructor commission details for the classes/courses, which is selected in the dropdown. commission-content - The available options are course or class. Choose whether Course or Class content you like to display. Using LMS is as straightforward as creating a WordPress page or post, with it being powered by its own Lessons custom post type. The plugin is designed around the intuitiveness of the WordPress user interface, making it the best Learning Management System for WordPress. Period. 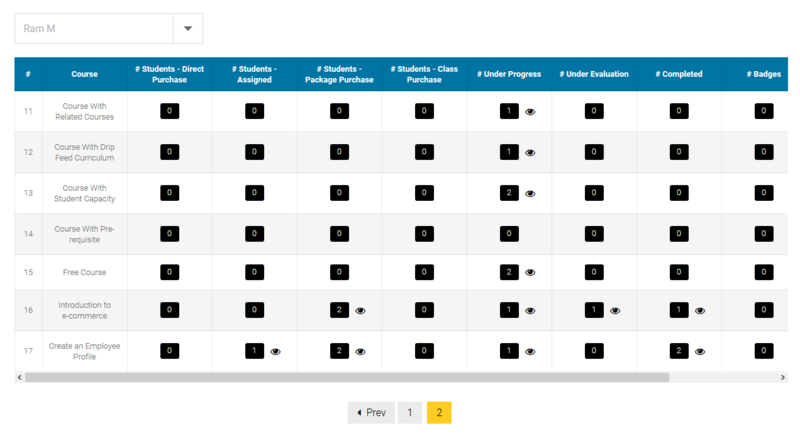 This shortcode is used to display the Courses Included, Classes Included in each Package item and the number of students who has purchased the package item. This shortcode is applicable only for administrator. This shortcode is used to display the Class details of particular class. This shortcode displays the Courses Included and the number of students who has purchased the class. This shortcode applies for Administrator and instructor. If logged in as instructor, he/she can view only his class details. If logged in as administrator, then he/she can view all the class details of all instructors separately. LMS Kalvi - Student Management software for managing the entire “student life-cycle” right from application to graduation. Configure and manage the complete registration workflow for your university. Configure finance with multiple funding methods. Track student's performance and manage examination processes. This shortcode is used to display the total number of Courses Purchased, Courses Assigned, Packages Purchased,	Classes Purchased, Courses - Under Progress, Courses - Under Evaluation, Courses - Completed, Courses - Badges, Courses - Certificates of all the students. This shortcode is applicable only for administrator. This shortcode is used display the count of courses or classes or packages purchased by a student. This shortcode applies for student role only. item-title - If you wish, you can change the default item title here. item-type - The available options are class or course or package. Choose item type to display its purchase count. This shortcode is used to display the count of assigned class or course item to a student. This shortcode applies for student role only. item-type - The available options are class or course. Choose item type to display its assigned count. This shortcode is used to display the count of undergoing courses or classes by a student. Undergoing means that the student is currently taking that courses/classes and not yet completed it. This shortcode applies for student role only. item-type - The available options are class or course. Choose item type to display its undergoing item count. This shortcode is used to display the count of courses or classes which are under the evaluation of the instructor or administrator for a student. This shortcode applies for student role only. item-type - The available options are class or course. Choose item type to display its underevaluation item count. This shortcode is used to display the count of courses or classes which are completed by the student. This shortcode applies for student role only. item-type - The available options are class or course. Choose item type to display its completed item count. This shortcode is used to display all the student achieved badges of corresponding course or class or both. This shortcode also displays the badges of the registered onsite classes as well. This shortcode applies for student role only. item-type - The available options are all or class or course. 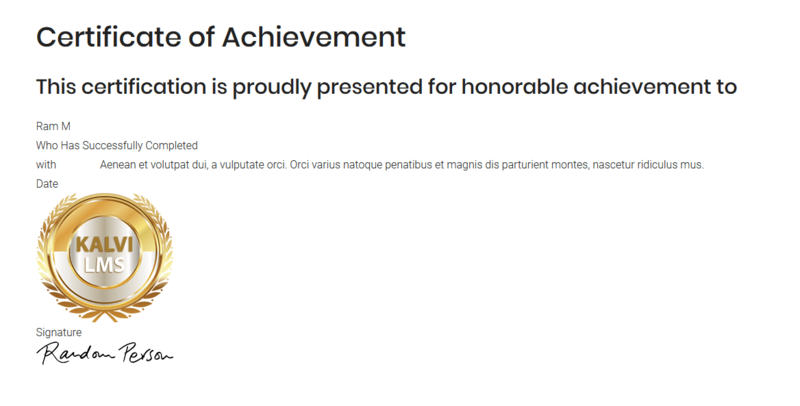 Choose item type to display its corresponding student achieved badges. include-registration-class - The available options are true or false. If "Class" option is selected for item type and "True" is set for "Include Registration Class", then this shortcode will also displays the badges of registered onsite classes of the student. This shortcode is used to display all the student achieved certificates of corresponding course or class or both. This shortcode also displays the certificates of the registered onsite classes as well. This shortcode applies for student role only. include-registration-class - The available options are true or false. If "Class" option is selected for item type and "True" is set for "Include Registration Class", then this shortcode will also displays the certificates of registered onsite classes of the student. This shortcode is used to display the list of courses or classes or packages which are purchased by the student. This shortcode applies for student role only. item-type - The available options are class or course or package. Choose item type to display its completed list. This shortcode is used to display the list of assigned class or course item to a student. This shortcode applies for student role only. item-type - The available options are class or course. Choose item type to display its assigned list. This shortcode is used to display the list of undergoing course or class by a student. Undergoing means that the student is currently taking that course/class and not yet completed it. This shortcode applies for student role only. item-type - The available options are class or course. Choose item type to display its undergoing list. This shortcode is used to display the list of courses or classes which are under evaluation by the instructor or administrator for a student. This shortcode applies for student role only. This shortcode is used to display the list of courses or classes which are completed by the student. This shortcode applies for student role only. item-type - The available options are class or course. Choose item type to display its completed list. This shortcode is used to display the Course Curriuculum details of a particular student. First it will display the course details in a table and a "View Results" button to see all the course curriculum details in a popup window. Clicking the option link in the popup window of each curriculum, the individual details of that particular curriculum will be displayed. This shortcode applies for student role only. This shortcode is used to display the list of events assigned to a student from a course. This shortcode applies for student role only. This shortcode is used to display the Class Curriuculum details of a particular student. First it will display the class details in a table and a "View Results" button to see all the class curriculum details in a popup window. Clicking the option link in the popup window of each curriculum, the individual details of that particular curriculum will be displayed. This shortcode applies for student role only. Performance levels describe students’ performance when instructed on grade-level skills and concepts. Combined with the Quantile Measure, the performance levels can be used to group students and to determine appropriate instruction. students exhibit advanced performance when tested on grade-level skills and concepts. Teachers should consider adjusting the pathways of these students to a higher grade level. 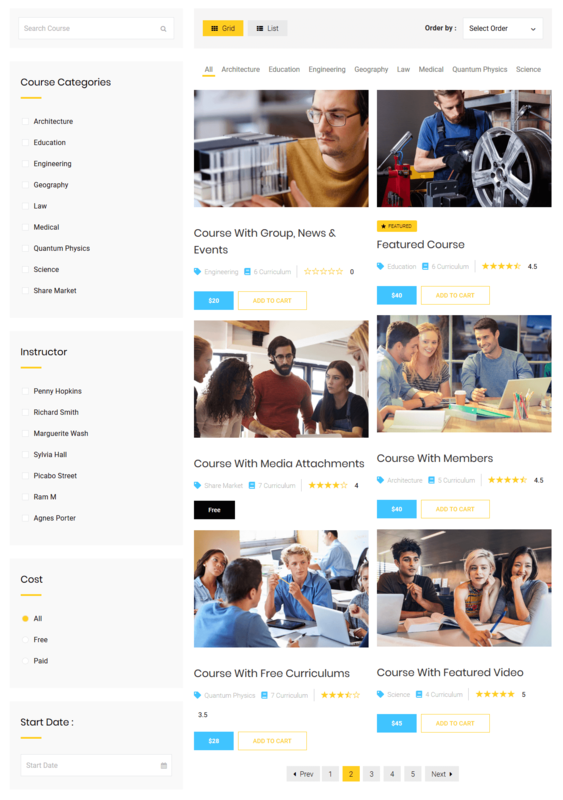 This shortcode is used to display the total number of Classes, Courses, Lessons, Quizzes, Questions, Assignments and Packages created by the Instructor or the Administrator. item-type - The available options are classes or courses or lessons or quizzes or questions or assignments or packages. Choose item type to display its total items count. For Instructors total items added by them will be displayed by default. item-title - If you wish, you can change the default item title here. Else the default title will be Total Courses, Total Classes, etc. content-type - The available options are all-items or individual-items. If administrator wishes to see the items added by him / her or all items data. This option is applicable only for administrator. 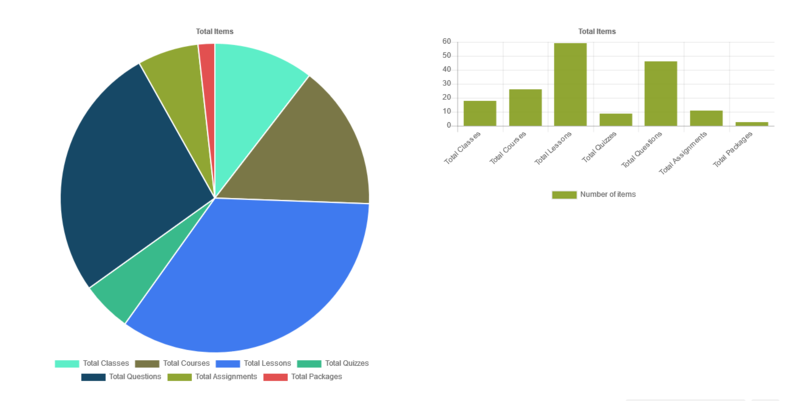 This shortcode is used to display the total number of Classes, Courses, Lessons, Quizzes, Questions, Assignments and Packages created by the Instructor or the Administrator in the PIE chart or Bar Chart. chart-type - The available options are pie or bar. Choose what type of chart to display. set-unique-colors - The available options are true or false. If you like to set unique colors for your chart choose "True", else colors from "Chart Settings" will be used. If set to True there will be appear 7 color palettes to choose the color for each item. first-color - Choose the color from the color palettes to first color. second-color - Choose the color from the color palettes to second color. third-color - Choose the color from the color palettes to third color. fourth-color - Choose the color from the color palettes to fourth color. fifth-color - Choose the color from the color palettes to fifth color. sixth-color - Choose the color from the color palettes to sixth color. seventh-color - Choose the color from the color palettes to seventh color. This shortcode is used to display the total purchases of classes, courses and packages done in the site in data and chart format. include-class-purchases - The available options are true or false. If you need the Class items to be included in the overview chart, enable this option. include-course-purchases - The available options are true or false. If you need the Course items to be included in the overview chart, enable this option. include-package-purchases - The available options are true or false. If you need the Package items to be included in the overview chart, enable this option. include-data - The available options are true or false. If you wish, you can include data along with this chart. The data will be displayed in the table format along with the bar chart. set-unique-colors - The available options are true or false. If you like to set unique colors for your chart choose "True", else colors from "Chart Settings" will be used. If set to True there will be appear 3 color palettes to choose the color for each item. The certificate shortcodes is used to display the certificate that is gained by the user. There are 2 methods in which we can generate the certificates in our LMS Addon. First is the default Addon designed certificate and the custom designed certificate. The first default cerficate will work, if the Visual Composer plugin is active or not. The second certificate will work only with the Visual Composer plugin. This is the custom certificate shortcode which will work with Visual Composer plugin. You can design the certificate section as per your needs from this shortcode and add just the item types like student name, Class or Course, Student Percentage and Date to wherever you need in the certificate section. item_type - The available options are student_name or item_name or student_percent or date. Select any type of item that needs to be displayed. This is the default certificate shortcode which will work without the Visual Composer plugin. You just need to set the logo, heading, subheading, footer logo and signature and the default design will be applied for this shortcode. type - The available options are type1 or type2 or type3. Select any type of certificate. heading - Just add the heading for the certificate section. subheading - Just add the subheading for the certificate section. logo1 - Just add the logo id for the first logo section. logo2 - Just add the logo id for the second logo section. footer_logo - Just add the logo id for the footer logo section. signature - Just add the image id for the signature section. If you have further questions or need assistance with that, For faster service, please include your WP and FTP login info when creating the ticket. Our support team will check it out and let you know. Thank you, we look forward to helping you!